Matthews NC began as a small farming community in the 1800s. Cotton farmers cleared the land for new plantings, leaving tree stumps in all directions; thus, the first name for the community became known as “Stumptown”. The history of Matthews runs deep, but most of the town’s 25,000 residents have relocated to Matthews in the past decade, attracted by affordable homes in beautiful new subdivisions, strong schools, lower taxes (which are currently very similar to Mecklenburg County’s tax rate) and the historic, pedestrian-friendly downtown. Some historic Matthews homes remain around the fringes of Matthews town center, however the Matthews area has seen tremendous growth with new subdivisions. Community homes range from transitional to historic colonial to craftsman style. Matthews also has a popular, active Farmer’s Market near the town center which operates all year long with local, seasonal produce. Matthews also continues to grow with new shops, restaurants, a park and recreation department, and satellite campuses for Central Piedmont Community College and Wingate University. If you are looking for Matthews NC homes or matthews nc real estate, let us know. Search all the multiple listing single family by zip code as well as home values in Mecklenburg county. Scroll down to view the full list of home for sale in Matthews NC. For the most-up-to-date information on Matthews Area current home values, then we urge you to contact us. We can assist you with all aspects of buying or selling real property in this and other neighborhoods in the Charlotte Metro area. Also ask to be placed on an instant notification system when any new Matthews Area MLS listings come on the market or price reductions in Matthews Area are posted. If there is a specific property you are looking for let us know. We are the local expert real estate agents that also live in the area. The Maxwell House Group Real Estate can assist buyers in all forms of Charlotte relocation needs including new construction houses, condos, townhouses, for sale by owner homes, residential lots, townhomes, lofts, and new homes in various subdivisions across the Charlotte Metro region. If you are interested in foreclosure homes including pre-foreclosures, short sales, REO properties, bank owned properties and other types of foreclosure properties, then we can assist you. Many home buyers search homes with certain square feet, middle school or on a golf course. Maybe you are looking for homes for rent, we can help. If you’re searching for Charlotte NC foreclosures in Matthews Area or neighboring communities, then we invite you to view the listings in this or any of the Charlotte popular subdivisions on our site. And if you’re searching for condos or townhomes for sale in the Charlotte area, feel free to browse our updated listings of Charlotte condos, townhouses, townhomes, lofts on our site. You can also search Charlotte homes for sale by zip code, search homes by Charlotte school zones or a multitude of other options on our site–all at your own leisure! Our mobile app you can view Matthews real estate, homes for sale in Matthews NC and check our affordability calculator and virtual tours.  information on this page is based on information on single family homes for sale in Matthews Area subdivision in Charlotte NC per the Carolina Multiple Listing Services, Inc. and is deemed reliable but, not guaranteed.